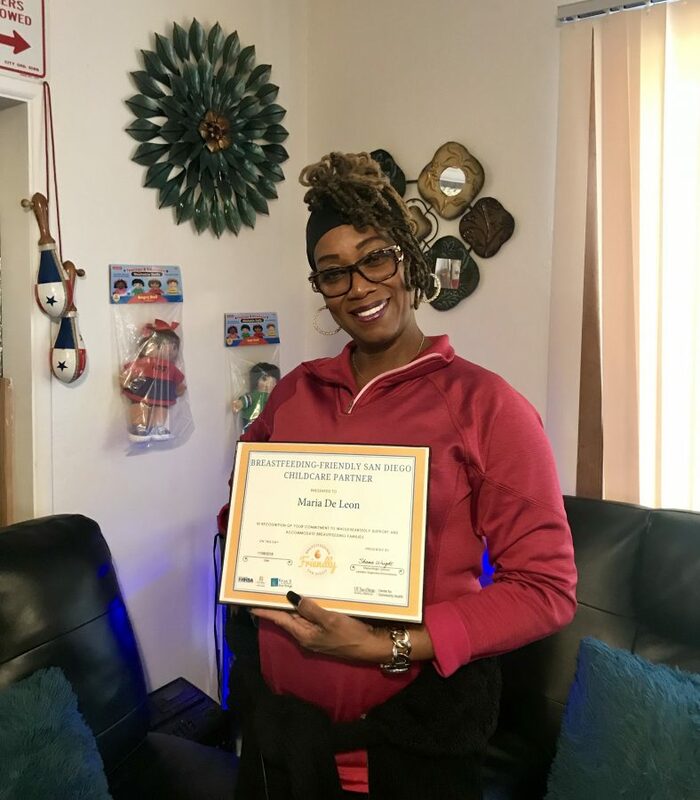 Maria De Leon is an experienced childcare provider and foster parent who has been offering care in her home for 25 years. Ms. De Leon’s childcare, Delfina Maria Little Angels Daycare, provides care for children in both English and Spanish and is a space where children feel safe. Ms. De Leon prides herself on her ability to protect children and focuses on raising children to feel loved, secure, and have high self-esteem. Ms. De Leon believes that breast milk is the best option for babies and this belief drove her to enroll in the Breastfeeding-Friendly San Diego (BFSD) program. Ms. De Leon encourages other providers to enroll in the BFSD program because “The BFSD program provides helpful information to support mom and kids.” Ms. De Leon has created a pleasant space for parents to nurse onsite and she is certain this will provide families with additional comfort and security. Congratulations Maria De Leon on becoming a recognized Breastfeeding-Friendly San Diego provider!